Yes, Bastl’s videos are great. I learn a great deal from DivKid’s videos. Another way to learn is to post your modulargrid links and get feedback on them. I learn a great deal every time I do that. Would love to hear any feedback about it. Please feel free to jump in with your own rack or just talk about individual modules, etc. There is a lot to absorb, and it takes time. Thanks for the links. Was on my phone so I got lazzzy. Best way to learn is to read, read, read. Then take a break and watch some videos like the ones above. If you’re starting a system, start super small and patch the hell out of it. Just remember in goes to out. Cv is just a voltage. It can be a gate, trigger, lfo, audio, or even video. The oldest article in this very long series, “Synth Secrets” is 17 years old now, but I still love reading it. Not modular-specific, but it’s still full of gold. Not all of the articles are concerned with learning modular synthesizers, but this seems like a good place to include this. I was so impressed with eContact! The conclusion of the Misunderstanding Modular Synthesizers got me all misty-eyed, made me feel like all this patching might be in service to a higher purpose. Although too many menus for my taste, a lot of awesomeness packed in there. But I think you forgot the envelopes. They’re also a huge part of the hands-on experience IMO. Also, be sure to check power consumption with the case! I also considered Bastl’s CV Trinity, Serge DSG, and Make Noise Maths. I hear you about menus. I have this maximalist tendency. I’m trying to overcome it, but it seems to take time, and it doesn’t help when someone like Dave Rossum releases such interesting-seeming modules. Also, a lot of mixer/vca for 2 rows! True, lots of mixer/VCA for two rows, but there’s a lot of audio (4 voices, and more if I could think of a way to squeeze some drum voices and/or DSP voices in there) and a lot of CV (monome modules in addition to CV Forge). Maybe it needs a new thread, but if more folks started discussing their racks I think it might be educational for the newbies? 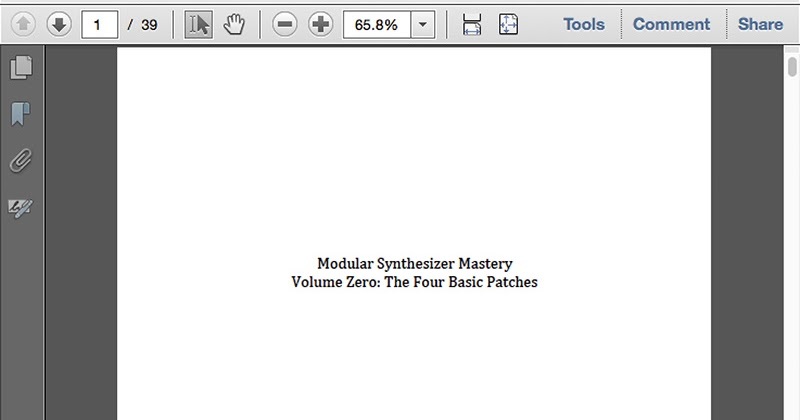 Synth Secrets is always worth diving into: nothing has changed, and Gordon is detailed and informative. It’s also a good reminder that, frankly, the modular synthesiser is still just a synthesiser and that anything you’ve learned about electronic sound production will still apply. (I’m always surprised when people can’t draw a link between, say, a subtractive monosynth and what goes on in a basic modular setup). Another reason for ample mixing capability: I expect that I’ll want to include other sound sources besides those built into this case, at times. WOW! That is an amazing spreadsheet. I will absolutely be returning to it. i agree you probably want to add envelopes/lfos if you’re planning to use it as 4 voice - you’ll want to take advantage of the 8 CV inputs on the 4vox. control forge looks awesome but you only get one continuous voltage out of it (not counting the inverted output) so with sport modulator you have 3 envelopes / lfos in total. maybe consider something like quadra / xaoc batumi / malekko ad/lfo? also considering you have built in VCAs in 4vox and poltergeist i’d perhaps replace the befaco with a couple of smaller mixers which would give more flexibility when mixing additional sources. Really great feedback! Thanks for pointing out the limitations of control forge I wasn’t picking up on. Exactly why I posted this. Will rearrange when I get back to a desktop. 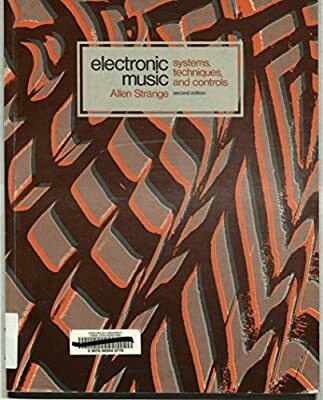 I’m surprised no one has mentioned Allen Strange’s Electronic Music. It’s a little old at this point, but the basics are still the same when you’re working with modular. That one is new to me. Here’s a link. 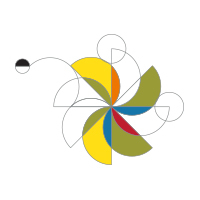 Just remembered that Darwin Grosse has begun writing a book about learning modular.